Testimonials of curious soul alumni. 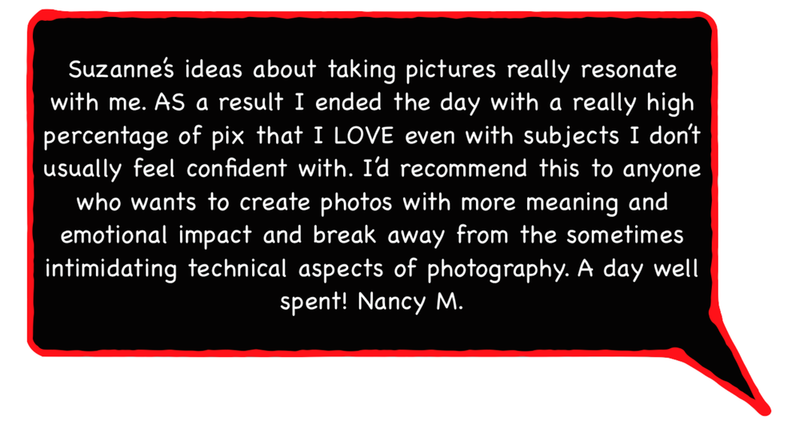 What past participants in the photography classes have to say about their experience. 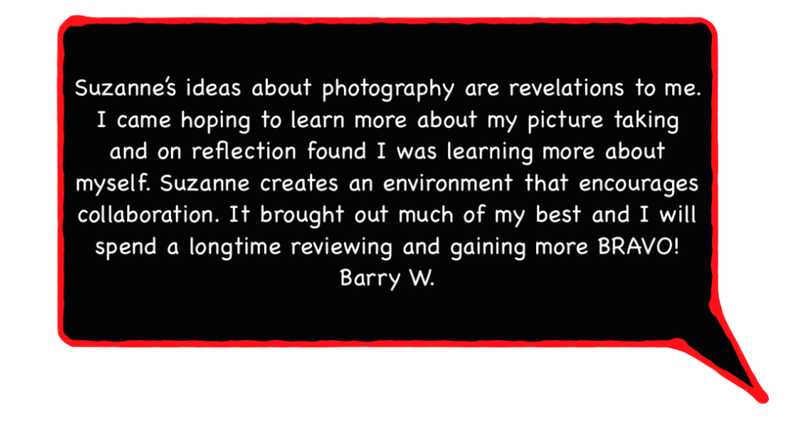 Flow-tography Book Review: Go willingly with Suzanne into her world of Flow-tography; and you will learn why you want to capture that image. Treat it carefully, and you will capture digitally something which is beautiful, or exciting, or emotive, or maybe just a treasure for you aloneTread mindfully, breathe deeply, and be in the world of Suzanne Merritt’s Flow-tography. It is a wonderful place.